APT officially reveals the new name of its latest ‘Sky’ expedition ship in its new Luxury Small Ship 2016 Preview brochure, which is available in travel agents from today. The MS Hebridean Sky (formerly the MS Sea Explorer, Corinthian II) will undergo a major refurbishment in early 2016 ready to join sister vessels the MS Caledonian Sky and MS Island Sky in APT’s fleet of three luxury small ships. The APT fleet is unique in that it carries an average of just 100 guests, all of who stay in elegant suites with outside views; and due to the size of the ship, they can dock in ports inaccessible to larger vessels. Onboard features include a library, sun deck, alfresco dining restaurant, beauty salon and ten Zodiacs that enable all guests to travel off the ship to shore together. 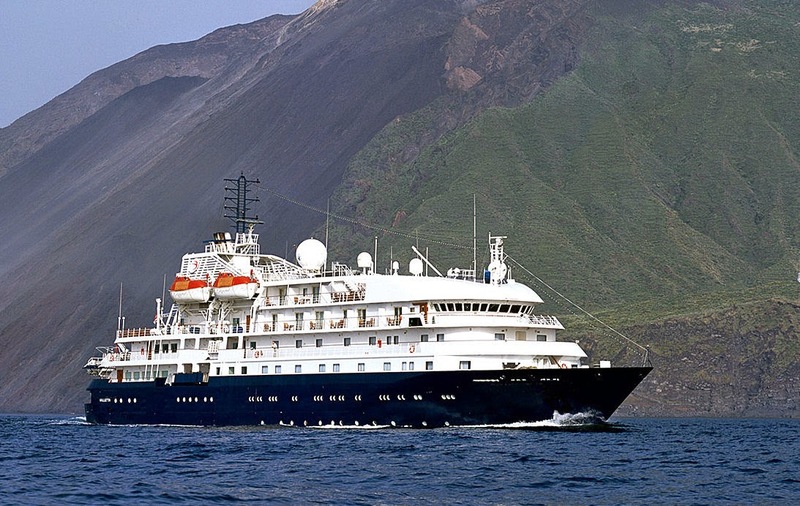 In 2016 APT is offering guests a choice of two different cruise styles aboard its luxury small ships: Boutique Collection Cruising which will focus on a particular region or a theme; and Expedition Collection Cruising, whereby guests are taken off the beaten track by APT’s ten-strong Expedition Team of expert guides and lecturers, led by an Expedition Leader. New cruise itineraries featured in the APT Luxury Small 2016 Preview brochure include, for Boutique Collection Cruising the chance to sail between Venice and Istanbul on the 15-Day Aegean & Adriatic Odyssey taking in the coastlines and highlights of Italy, Croatia, Montenegro, Greece and Turkey; or a new 18-Day Sailing the Japanese Isles itinerary which takes in Japan, Taiwan and the Philippines. Popular Expedition Collection cruises include the 11-Day Kimberley Coast Cruise from Darwin to Broome and the 17-Day Southeast Asia Adventure through the islands of the Philippines, Malaysia and Indonesia. “We’ve worked hard to differentiate ourselves in the small ship market, acquiring the best ships globally in the expedition category. Other itineraries featured in the new program include Boutique Collection cruises the 17-day La Dolce Vita sailing to Portugal, Spain, Morocco, France, Italy and Malta; the 21-Day Footsteps of the Immortals to Jordan, Egypt, Cyprus, Greek Islands and Turkey; and the 13-Day Majestic Norwegian Fjords including Scotland and Norway. In addition to introducing a new ship and new itineraries to its fleet in 2016, APT’s Luxury Small Ship Cruises will also be fully all inclusive, covering shore excursions, complementary beverages available all day while on board as well as meals, sightseeing and free Wi-Fi in cabins. All itineraries in the APT Luxury Small Ship 2016 Preview brochure offer guaranteed lowest prices if booked by 30th of April as well as either a ‘Companion Fly Free including taxes’ deal or an ‘Airfare credit’ with savings up to $2,500 per couple. Offers are valid on all bookings made by 30 April 2015. Terms and conditions apply and offers are subject to availability.